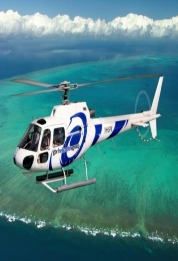 Helicopter and Seaplane Scenic Flights, Charters and Transfers. Scenic tours in Helicopters and Seaplanes as well as Cruise/Fly options. Great for late starts and early finishes to tours if you're on a tight time schedule. Helicopters and Seaplanes are also the perfect solution for people who suffer from seasickness and really want to see the Reef. They are also the ultimate option for a romantic day trip or marriage proposal. Fly like a bird with Tandem Hang Gliding.